Please compare the powerlevels with other Servants first. Caster Artoria: For starters, Double Summon is strictly restricted to granting attributes of the Cavalry classes and Extra classes. At least, that's what I've heard. Keep the Magic Resistance, yes, but you can go without Riding. Also, Artoria's Magic Resistance states that she has it because of her dragon blood, so naming it Magic Resistance (Dragon) is unneeded. Secondly, Mage Craft should be Magecraft. One word, not two. Thirdly, EX-Rank Charisma just rubs me the wrong way too. And no Artoria variant has ever had that Skill any higher than B-Rank. Honestly, you could have just left it at A-Rank because EX-Rank seems excessive. Fourthly, Prath-Ddraig and Caledvwich are something I feell would be better combined into one thing. And finally, use the spoiler tag for the background information. But since you are new here, I feel a little bad about tearing your sheet apart like this. Firstly, the backstory for this "if" Artoria is fairly interesting. Secondly, your Noble Phantasms are fairly solid, they basically amount to magic staff, beam-sword, army summon, and summon castle. But to your credit, they aren't OP. However, some clarification on what the False Life duplicates of the Knights of the Round Table can do would be appreciated. Lambda-Nu: For starters, I don't see why their can't be exceptions to that Double Summon rule if its real, especially since this is all in good fun. I was going to give some reason for me keeping riding, but then I thought of something better to replace it with, thank you for that. Sorry about the Magecraft thing, I started this on Word, and it said it was wrong, and so on and so forth. I already addressed the Charisma thing, twice, also I think I ended up mistaking the A in instinct, on the wiki, for being for Charisma, hence the extra extra effort. With Prath-Ddraig and Caldvwich, they are different weapons, with different effects, albeit ones that work in conjunction. Prath-Ddraig is basically the reason behind many of her high paramaters and skills, without it her Mana would go down to B, as well as all her skills save Magic Resistance, Charisma, and what was formally Riding (now Respect of the Dragons). As for the sword, it's power is enhance with the help of Prath-Ddraig, and was designed to be used with it, but can act without it. Thanks for the criticism, and I'm glade you liked what you did of my servant Idea. Feel free to expand on this versions story if you like. Double Summon (二重召喚ダブルサモン, Nijū ShōkanDaburu Samon ) is a rare Personal Skill possessed only by a few select Servants, it permits a Servant to simultaneously possess Class Skills from two distinct classes. It is limited only to some of the extra classes, the cavalry classes, and 'modern classes' like Gunner. But do whatever you feel like. I was actually working on that critique for quite a while, so I couldn't see that it was already addressed. But as for your explanation of Prath-Ddraig and Caledvwich being different NPs, fair enough, I guess. So, unfortunately, Stan Lee has passed away just today. Someone's gonna make the obligatory "hypothetical-Class-class-Stan-Lee" sheet, and by God, it's gonna be me. Though, I might hold off on making it if you guys think it's too soon. What do you guys think? It’s been a day. Yes, too soon. Nah, no time like the present. Especially as a commemoration/memorial to the great man. Honestly, she is normally a melancholy, proper, lady, but her youth was spent as the belle of the town. In an attempt to escape back to that past, she will attribute everything and anything that she knows to her education at the Young Ladies Collegiate Organization at Yale College as it was called when she was alive. It’s for that reason she will refer to herself as “Sally” when referencing her time in New Haven. It was her nickname before she was married and the tragedy began. As for her attitude towards her tragedy, it is rightly indignant. She feels as though she has no obligation to the dead. It is conspiracy and society that has placed that burden onto her. That isn’t to say that she isn’t sympathetic to their circumstances. But sympathy without understanding can never be a balm for despair. Her wish for the grail is to be rid of her tragedy. Cancels spells with an incantation of two verses and below. Cannot protect her against ritual class spells or high-thaumaturgy. As a modern Heroic Spirit she does not have any innate magic resistance and even with the bonus from class container it would not be above E rank. However, the vengeful spirits that haunt her guard her from magecraft. As the spirits themselves only as old as she is, high ranking magecraft is able to pierce through their defenses. An ability that allows for the magical energy of the Master to be cut off and for the Servant to be independent. In the case of A rank, Sarah can last a week in the current world without a Master. To use her Noble Phantasm assistance from the Master is necessary. Upon the urging of a medium, Sarah traveled westward from Connecticut and eventually arrived in Santa Clara, California. For a woman at that time, this was not an easy feat. In that era, rifles were single shot, requiring a bullet and gunpowder to be inserted into the muzzle after each shot. An experienced marksman could perhaps get three shots in a minute. A rifle that was able to be shot sixteen times before it was necessary to reload changed war. After the civil war, New Haven Arms, the company that produced these weapons changed its name to Winchester Repeating Arms Company and came out with the Winchester Model 1866. How many died to these guns? How many cursed those who made these weapons? How many even knew who Sarah Winchester was? Supposedly a prominent medium in Boston in the 1880’s. Whether or not he existed is up for debate. Whether he was actually a medium is up for debate. Whether or not he was the person who Sarah Winchester met with after the death of her husband is also up for debate. , you might agree too. A famous “haunted house” and landmark in the Santa Clara Valley, California that was designed by Sarah. This would undoubtedly be her Noble Phantasm if she was summoned as a Caster or Berserker. However, this is not the architect Sarah, this is not the grieving Sarah. Sarah Winchester summoned as Archer is a woman on the run. Running from her past, running from her curse, running from her despair. But there is a difference between running from something and running towards something. No matter how many “froms” are stacked up against her, she is undoubtedly running towards this house. It doesn't matter whether the house is a beacon of hope or a prison of despair. The destination itself is the answer. A life in which money is fated to revolve around. However, her riches seem to be cursed due to the amount of lives lost in the procurement of this money. Her luck will never rise above E rank. Sarah inherited almost half of the Winchester company after the death of her husband, that is the sum of twenty million dollars. In today’s money that’s about five hundred million dollars. She also received a stipend equivalent to twenty-five thousand dollars every day. Represents one’s shooting abilities. Includes quick drawing and trick shots as well. In Archer’s case the ones shooting are the innumerable ghosts which are haunting her. These vengeful spirits are possessive if not anything else. They will be the ones who bring her down and they will not allow anyone else to do so. As the spirits themselves were mere infantry rather than master sharpshooters, their skill is average. What they rely on is their sheer numbers. Denotes one status as a convenient scapegoat, Anti-Hero, terrorized by vengeful spirits. This skill ties in which her Noble Phantasm. Sarah Winchester nee Pardee was born to a carpenter and his wife. As she was growing up her father’s carpentry business took off and the family became rather rich. As a socialite, Sarah, or as she was known then, Sally attended Yale and was the talk of the town. Eventually, she married William Winchester whose father owned a clothing business and had recently purchased a weapons manufacturing company, New Haven Arms, that was to be renamed Winchester Repeating Arms Company. A decade and a half later her father in law died and within three months her husband died of tuberculosis. It is said the reason for these deaths was a curse upon the family who had made their riches selling weapons that changed the very nature of warfare. It does not matter whether the curse was real or not. Sarah Winchester, a woman unlucky enough to fall in love with a man whose family happened to make weapons, was a convenient scapegoat. She was never demonized or vilified, but there was always an understanding that the darkness which permeated through her life was because of her family’s sins. Whether or not those who died facing the bullets of her family’s guns cursed her at all did not matter. It was the perception of the public that Sarah’s life was the way it was because of such a curse. Therefore she is a savior who is worshipped and cursed in equal amounts as the curse and praise are uttered under the breath. , what has been recorded is not only herself but all the vengeful spirits of all the people who have been killed with a Winchester rifle. That is to say, summoning Sarah Winchester is the equivalent of summoning a countless number of vengeful spirits. Normally, these spirits are immaterial and are therefore unable to affect physical objects. The moment that Sarah dematerializes, the spirits will be able affect her, dealing continuous damage to her spiritual core. It does not need to be said that keeping her materialized is of the utmost importance. who shoots at her foes with a cursed rifle. The reason why the Noble Phantasm is designated as Anti-Self is slightly peculiar. There are Servants who are the amalgamation of vengeful spirits. Such an existence is like a picture made of interlocking puzzle pieces. Even if Sarah were to take in a vast number of her vengeful spirits, her core is still that of herself as a Heroic Spirit. While she may be an Anti-Hero, there is very little debate regarding her existence and her impact on the world. The hatred, the grudges that could not die upon death have no avenue other than to condense, forming a lightning mask. Eternally trapped by deaths forced onto her by others, the countenance she was once so proud of becomes that of death itself. Someone who is never spoken about. A daughter who died ten days old leaving a mother who vowed to never have children again. The first tragedy in Sally, no, Sarah Winchester’s life. If the cause was something as arbitrary as a curse, then how cruel and unfair this world must be. She understands that Holy Grail must not be used on a wish like this. But isn’t that the reason why miracles exist in the first place? Having lived in California for 9 years you always hear about the tourist trap known as the Winchester House. But after learning about Sarah, the woman herself is perhaps someone who is even more interesting. I wanted to produce something that wasn't just "High-Thaumaturgy or Reality Marble Winchester House Caster, gg." Anti-Hero. Dead Face. Yale Alumna. Last edited by You; November 21st, 2018 at 08:41 PM. Yeah, given who the guy was he'd doubtlessly get a kick out of someone portraying him as an over-the-top legendary hero like he wrote about in comic books. Speaking off, I'm trying to come up with a Skill that references the copious amounts of cameos Stan's made in Marvel properties, but I'm not sure what the effects would be. I'm thinking something like creating a duplicate of himself that shows up whenever "something important" happens, but cannot interfere, referencing the theory of MCU Stan being one of the Watchers. Or would that be better off as a Noble Phantasm? Maybe a Illusions Noblephantasm ? ps:How do you find my latest profile here ? Grammar and Content wise ? Olav: First of all, the background section is too small and gives very little information. Most of what I could say about it has already been covered by Royd, though. But your grammar is still horrid. Whatever you did with your Fenris sheet in the contest, that is what you should stick to because that is by far the best your grammar has ever been. I can understand if English isn't your first language, but the fact that you have shown that you can improve on it but you choose not to is infuriating. While you did do a good job of keeping the sheet focused around a single concept and grounded in his actual lore, your grammar is still lacking. Maybe something as wanked as writing himself into a cameo role into his opponent's legend by rewriting their very Saint Graph temporarily? It would give him insight into the Heroic Spirit and information beyond what the Grail gives maybe? That'd be really cool. It'd be kind of like a more benign version of Tsukishima's power from Bleach. I remember that happened to me once with my Lady Sun sheet. Royally sucked. Yeah, that's what I was thinking about after I typed it. He could actually use it to do some Tsukishima like things, though to a lesser extent. Also, Servant Stan Lee and Servant Shakespeare would get along real well or be the greatest rivals in a Grail War. 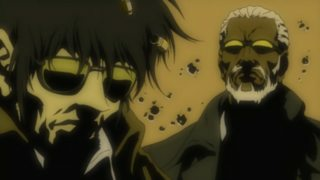 Actually, it'd be even cooler with Servant Dumas. Since I can't currently go whole hog on making Servant sheets again (not until December, anyway) and my list seems to be getting more and more bloated by the day, I thought I'd offer up some sheet concepts in case they happen to inspire someone. Svipdagr: A Norse character from the Svipdagsmál collection of poetry. The real point of interest with this one would be a loophole with which to bring some godpower into the sheet, since Svipdagr is often conflated with Odr, Freyja's mysterious husband. He's also got some magic going for him, some support from a spellcaster and might have gone to be a Berserker in Hrolfr Kraki's army. I can't really figure out a fitting Noble Phantasm for him though, and as such he's been languishing without attention for some time now. Moliére: One of the hated(?) playwright-type Casters, Moliére was a satirist French playwright. Besides being a prolific writer, I suppose one could pull something out of the fact that he might've gotten something demonic out of Innocent Monster, as he had a mutual hatred with the Church and was generally irreverent (maybe something like an imp - I felt that Clown's Laughter would be a fitting Skill for him). He's also got some improvisation going for him (which might manifest as a Skill) as well as something to the effect of Battle Continuation due to how he died. The latter might even be a Noble Phantasm, allowing him to 'continue with the show', though that might be a little on the lame side. Veturia: A Roman woman marked as one the Nine Female Worthies (one version of the list, anyway). Talked down an invading army (led by her son, oddly enough), founded the family line named after her and apparently had a hand in establishing the worship of Fortuna in Rome (not to mention affecting the perception of Fortuna as female to some extent). St. Elizabeth of Hungary: No relation to a certain other Hungarian Elizabeth (though I guess some kind of takeover might be in the cards). The thing that interested me was her position as patron saint of the Teutonic Order, which might affect her abilities (such as giving her more fighty abilities and making her more warlike in general). Lucianus Tarquinius Superbus: The last king of Rome. Being a pretty horrible person, he seized power in a coup and was generally terrible. Some of this might be later propaganda, but it might be interesting to have a Servant with Innocent Monster yet with the caveat that the reputation can't actually make him any worse than he already is. Might have the Sibylline Books as a Noble Phantasm, which tell of the crises that Rome would face in the future. Might also be accompanied by his sister/wife, who helped carry out the coup. Nezumi Kozo: A Robin Hood -ish figure from the Edo period, famous for robbing the houses of many influential noblemen. Apparently got his nickname from a bag of rats he carried, which he unleashed on the houses he robbed as a distraction. Candace of Meroë: A figure from medieval European legend, being a Queen of Kush who reputedly faced Alexander the Great in a standoff, which resulted in Alex deciding to head East instead of South. Her legend is a little on the thin side, but I suppose you could try and draw from the fact that Candace (or more properly Kandake) is a title, not a name, and that there have been quite a few reigning queens in Kush (not to mention genderflips being a thing - might be someone who history records as male but was warped into female due to the Alexander the Great romance or the other way around). Apparently rode a war elephant too. Claude Du Val: A French highwayman who operated in Britain. Famous for never using violence in his robberies and generally being the archetype for the charming highwayman/brigand. I was thinking his NP might be something to do with his ability to subdue his targets without violence. Mrs. Prodgers: A Berserker (or Avenger) candidate from recent times, being a British high class woman who had an incomprehensible hatred of London's cab drivers. Embarked on an elaborate 20-year crusade against them, causing trouble to them and taking them to court. Her reputation was such that cabmen would flee her on sight and burn effigies of her. 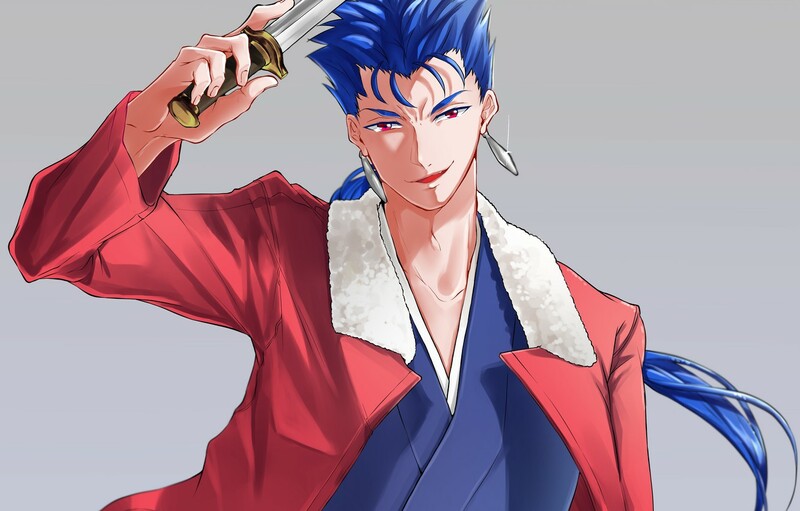 that brings me to the idea ,does it exist here a create a servant related Brainstorming thread where we post there such half ideas or Basic concepts at one view for better acces ? Lots of people post up here for help on potential sheets, so I don't think another thread is really necessary.